Finals finished last Wednesday and I’m still in shock that I’m not loaded with schoolwork right now. 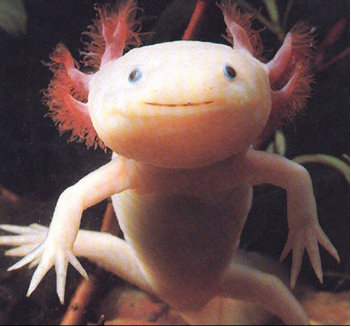 I will be starting an awesome co-op studying axolotl regeneration at Northeastern, researching under two professors with a great reputation. I’ll send pictures once I meet them and get permission. My co-op does not start until May 27th, so I have a month of time that’s not committed. It’s not exactly a vacation, but I’m glad for the chance to hang out with my parents and my siblings that have not gone off to college yet. There’s always a to-do list. This is prime-time for building scholarship applications. I’m applying for the Wentworth Endowment Scholarship and a Google scholarship for attending conferences. The only conference I could go to without taking too much time off work is a Diversity in Computing event in Georgia. I’ve never been to Georgia, an ACM conference, or a diversity celebration event, so I expect the conference to be enlightening, assuming I get the funds. A couple weeks ago now, I went to my first mathematics conference. I didn’t know what to expect; the only conference I had been to before was the Catholic Men’s Conference. The two were different and there were too many topics for me to hear everything. The whole math club and a few other students were invited, but only six students and two professors attended. I would expect higher attendance if the conference were earlier in the year, but for Wentworth students, that was crunch time and many potential students opted to work on final projects. I probably should have worked on projects myself, but I did not want to miss the opportunity. Attending the conference reminded me that all WIT math majors from my year have requirements outside the classroom. We all need to present two public talks, a poster at the math and science poster session, and develop a website. These things are all strong for our resumes or CVs, but they are not easy to accomplish. During lunch at the event, the keynote speaker decided to eat lunch with us. This was a pleasant surprise and I don’t think anyone planned it. The man, Noam Elkies, is a Harvard professor with an epic of accomplishments and a unique persona. His talk was about entropy in music, and the abridged version of the conclusion is that the number of western concert style musical pieces is limited because they have a certain structure; they are not random.